The Healthcare industry is enormously complex and impacts the lives of people everywhere. With more delicate healthcare products entering the market, distributors are in need of a dedicated logistics program that can provide secure facilities for temperature-sensitive storage. This is when UPS can help. 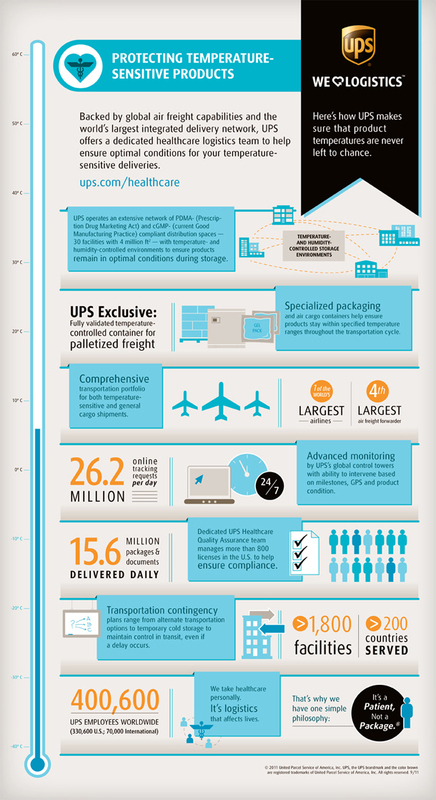 The infographic below demonstrates the range of specialized services and support UPS offers to ensure healthcare products are delivered with care.